CranUTI Cranberry Supplement is an all-natural, effective and affordable solution to prevent Urinary Tract Infection (UTI) for both men and women. 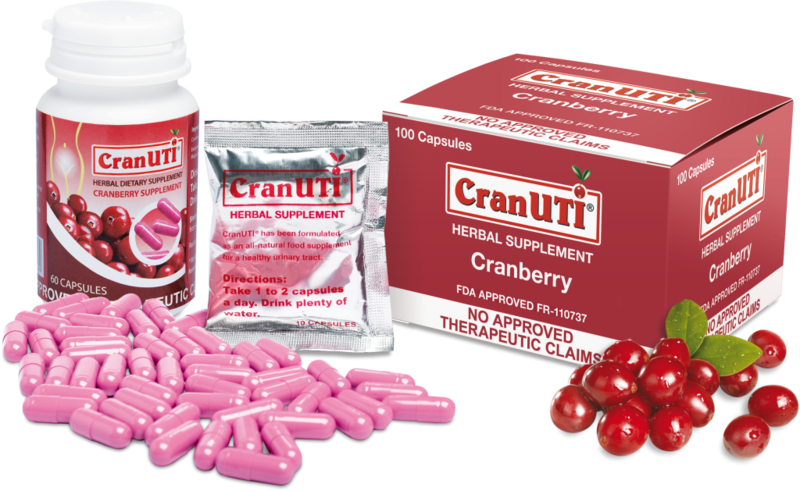 CranUTI Cranberry Supplement helps the body flush out E. coli bacteria – the most common cause of Urinary Tract Infection (UTI). Cranberry (Vaccinium Macrocarpon) is the red acidic fruit historically used by Native Americans as a wound dressing and later adopted by colonial settlers in North America. 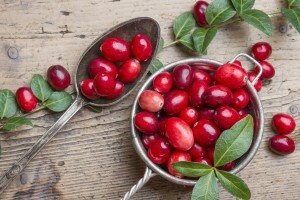 Cranberry is scientifically recognized as a viable alternative for preventing UTI. Clinical studies have found that cranberry significantly decreased the number of patients suffering UTI per year. Cranberries are rich in potent antioxidant compounds including anthocyanidins, quercetin, and chlorogenic acid. Cranberry has been found to be one of the richest sources of phenolic compounds demonstrating anti-proliferative effects in human cancer cells. Cranberry has also been shown to reduce the amount of ionised calcium in the urine by more than 50% in patients with kidney stones. UTI is very common in the elderly. 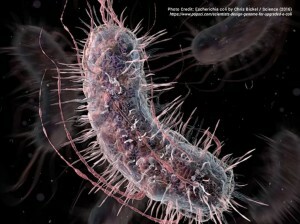 Bacteria can also be present in the urine, without other symptoms, affecting at least 30% of women and 10% of men over the age of 65. Left untreated, this condition might lead to an infection. Lynch, D. Cranberry for Prevention of Urinary Tract Infections. American Family Physicians 2004; 70:2175-2177. Patterson TF, Andriole VT. Bacteriuria in Pregnancy. Infect Dis Clin North America 1987; 1: 807-22. Mikhail MS, Anyaegbunam A. Lower urinary tract dysfunction in pregnancy: a review. Obstet Gynecol Surv 1995, 50: 675-83. Arroll B. Urinary Tract Infections in Elderly Women. NZFP. 32:4, August, 2005.